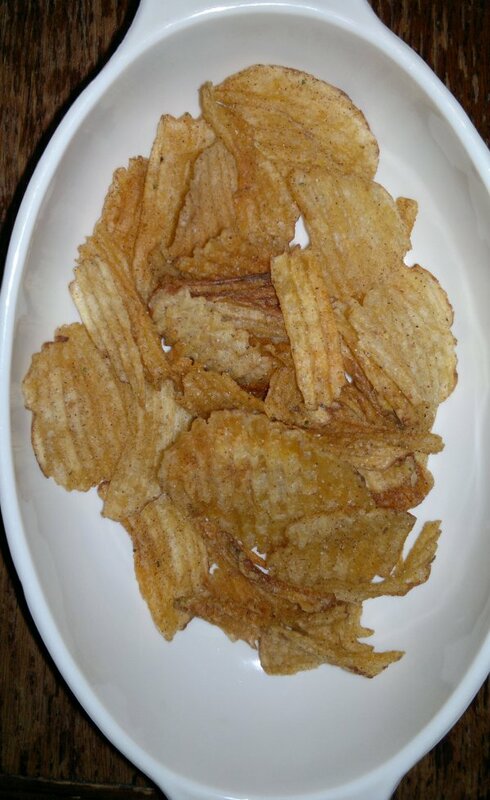 Hello snack fans everywhere. (Good evening, Enceladus!) 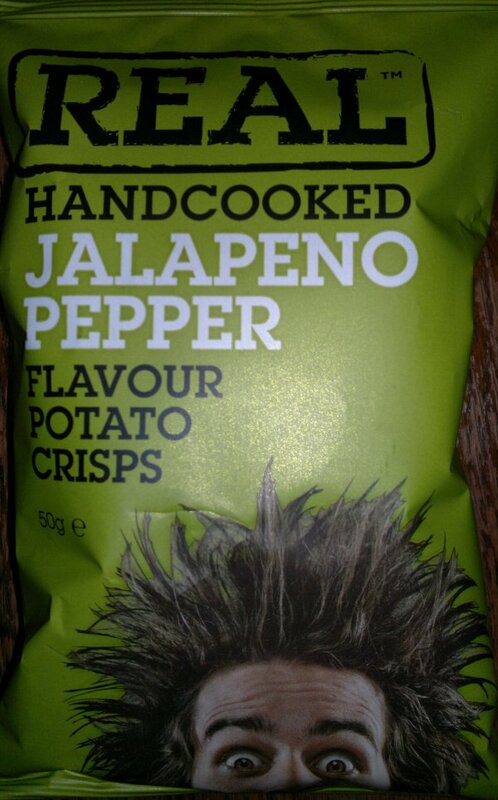 Here we go again with another update on the hot/chilli crisps scene. 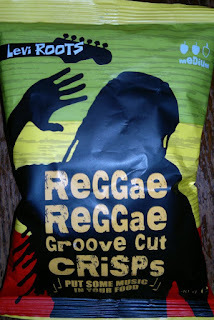 Two more offerings for you this time: Real brand Jalapeno Pepper flavour, and Levi Roots’ Reggae Reggae crisps. Reggae Reggae first. Groove cut, appropriately, and manufactured by our old friends in Devon, Burts, these babies have a pleasant appearance and flavour but no heat. 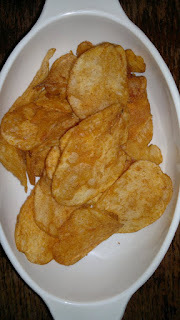 Which is a shame, especially as the bag says “Medium”, not “Mild” (nor “suitable for patients recovering from surgery”). 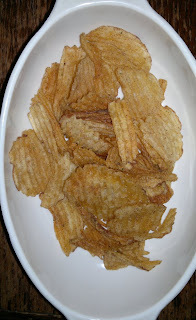 Reminiscent of our favourite Nando’s Hot Peri-Peri crisps (also made by Burts), but registering only 0.5, maybe 1 on the insertcrisps.com heat scale. Nice but not the full ker-ching. 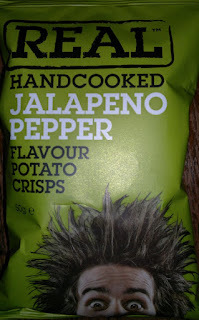 Real (a make to be found in Starbuckses, and elsewhere) have repackaged their crisps in bold colours, and the relaunch includes this new (to us) flavour: Jalapeno Pepper. (What, no tilde?) They claim to be hot, and – huzzah – they are: we registered substantial heat on the tongue and in the throat, hitting 3 or 4 on our homebrewed heat scale. Very salty though. The colour is deep and golden, thanks to turmeric being used as a colouring. Recommended.